We have been waiting for this day for over nine years. 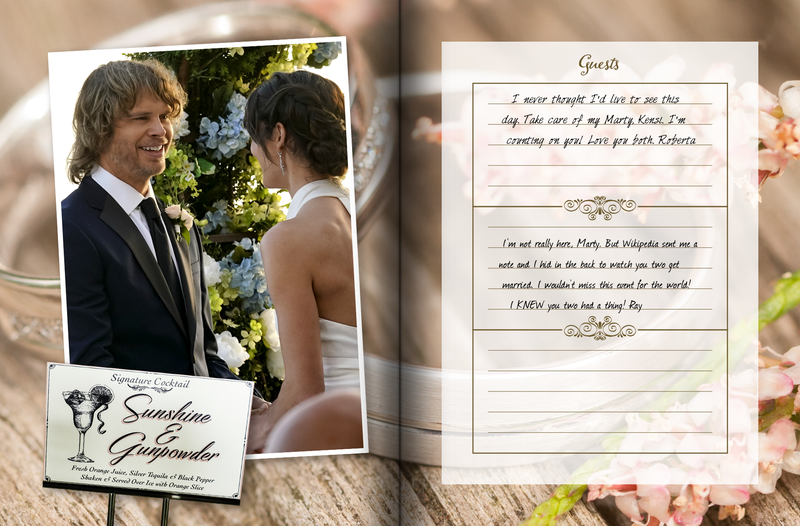 Celebrate this special event by signing Deeks and Kensi’s wedding guest book along with their family and friends. Add your good wishes in the comments below. Congratulations! I have watched you two from the beginning of your romance and what a ride it’s been. Wishing you nothing but the best in life today and every day. Congratulations Kensi and Deeks. I’ve been a fan of all the NCIS shows and am happy to see you both finally made it to the alter. Congrats!!!! I LOVE NCIS Los Angeles. I’ve watched since the beginning. Love Kensi and Deeks. A hearty congratulations on your wedding, and showing your commitment to each other…or, to use an old-fashioned phrase, to “plight your troth”. Finally getting to the altar after so many years of twists and turns, with a partnership turning into such a love story. Knowing you both will “give everything in this life”. All the best wishes for your wedding day and beyond. 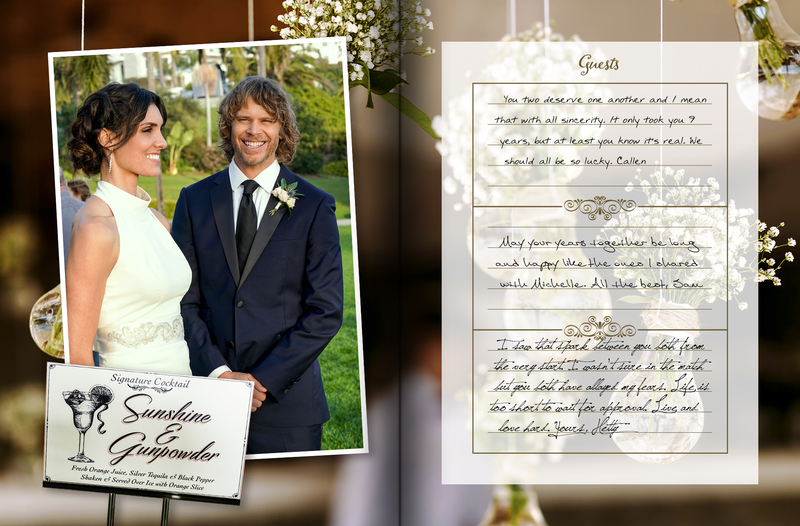 Congratulations Deeks and Kensi on your wedding! I love calling you Densi 🙂 and I’m so excited for this big moment of your lovestory. I love that Deeks called these nine years, “the dance of love”, I think this is a perferct. definition… your chemistry, your trust, your affinity, your flirting, your support to each other in any obstacle you had to fight, is the dance of love. I really thank you for letting us dream and make our hearts beat faster and explode of joy . I wish you that this love story never ends and gives you all you need to be happy and fullfilled every day of your life. Congratulations on your wedding. You both deserve all the happiness coming your way. It has been a long road to get here. Both of you have been through some much. Sunshine and GunPowder always. Wishing you both all the happiness in the world. 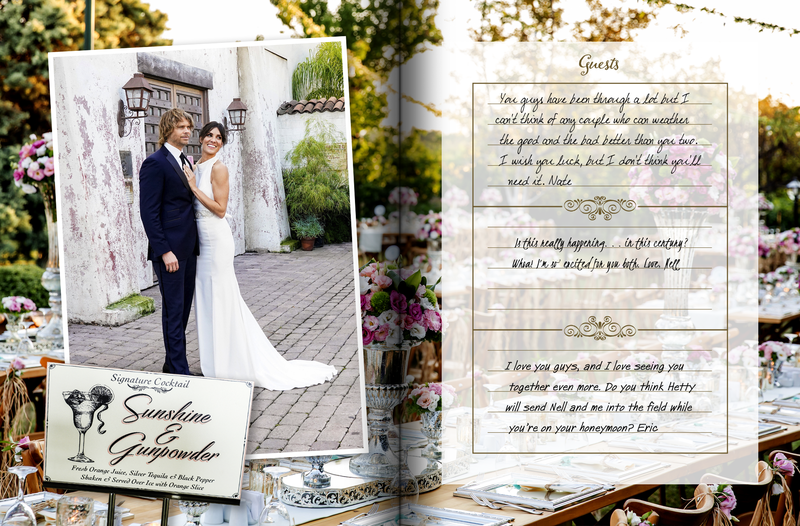 Massive congratulations Deeks and Kensi, I’m sooo happy that you have finally got to this stage in your relationship! So looking forward to being one of millions sharing your day up close and personal…..Congratulations!!!!! We love watching y’all and are anxious to see what is next!!! But this is just the beginning. Married life is very different than what you have experienced until now. We look forward to sharing those future moments with you. Congratulations on your wedding I’m so glad it finally took place and you both looked so so awesome . I’m also surprised by what was in the box I don’t think any of the fans expected kensi dads wedding ring it was so emotional and truly from her heart to Deeks who really truly loves her. Congratulations again beautiful beautiful beautiful couldn’t ask for a better wedding episode. I wish you all the happiness and all the love that there is. Congratulations! Here’s to many long and happy years together. You’ve earned it. Congrats and Best Wishes to u both Densi…i absolutely love you guys! You certainly are made for each other and you deserve happiness forever!